The Firehouse: Shady Bug, Captain Kudzu, Chico. 8 p.m.
Little Italy’s: Jazz Jam 8 p.m. The Nick: Open Mic 8 p.m.
Daniel Day Gallery: Electric Blues & Rock Jam. 7 p.m.
Ghost Train: Bluegrass Jam. 6 p.m.
Iron City: San Holo, Robotaki, Taska Black, Eastghost. 8 p.m.
Little Italy’s: Open Jam. 8 p.m.
Mom’s Basement: Sister Sniffle, Blackpool Mecca. 8 p.m.
Tin Roof: Logan Mize. 7:30 p.m.
Tin Roof: Jam. 10 p.m.
Marble Ring: Band of Steve’s. 8 p.m.
Mom’s Basement: Conor Donohue, Van Hollingsworth. 8 p.m. The Nick: Polly Panic, The Murder of Jane Crow, Jacquie Cotillard, Poly Action. 10 p.m.
Zydeco: Rollo Haynes. 9:30 p.m.
Brennan’s: Open Blues Jam. 7 p.m.
Iron City: Midland. 8 p.m.
Little Italy’s: B for Humanity. 8 p.m. The Nick: Davis Little, Daniel Raine, Zach Austin, Justin Oliver, Taylor Goodwin. 10 p.m.
Saturn: Soul Desert, GD Rights, The Aurophus, People Years. 9 p.m.
Zydeco: Grass is Dead. 9 p.m.
Iron City: Tank and The Bangas, Maggie Koerner, DJ RQ Away. 8 p.m.
Little Italy’s: Taylor Hollingsworth. 8 p.m.
Mom’s Basement: Great Peacock, Will Stewart. 8 p.m. The Nick: Tragic City, The Bouquets, Dommel Mosel. 10 p.m.
Saturn: The Wild Reeds, Valley Queen. 9 p.m.
Southern Kitchen: Vibeville. 10 p.m.
Tin Roof: Fly By Radio. 10:30 p.m.
WorkPlay: Three on a String. 8 p.m.
Zydeco: Reid Haughton, Old South Band. 9:30 p.m.
Zydeco: Next Year. 10 p.m.
Avondale Brewing: Earthbound. 2 p.m.
Back Forty: Sylvia Rose Novak, Kaydee Mulvehill, Kelen J. Rylee. 2 p.m.
Brennan’s: Mayahyley’s Grave. 8 p.m. The Firehouse: The Burning Peppermints, No Culture, False Jasmine, Empire Springs. 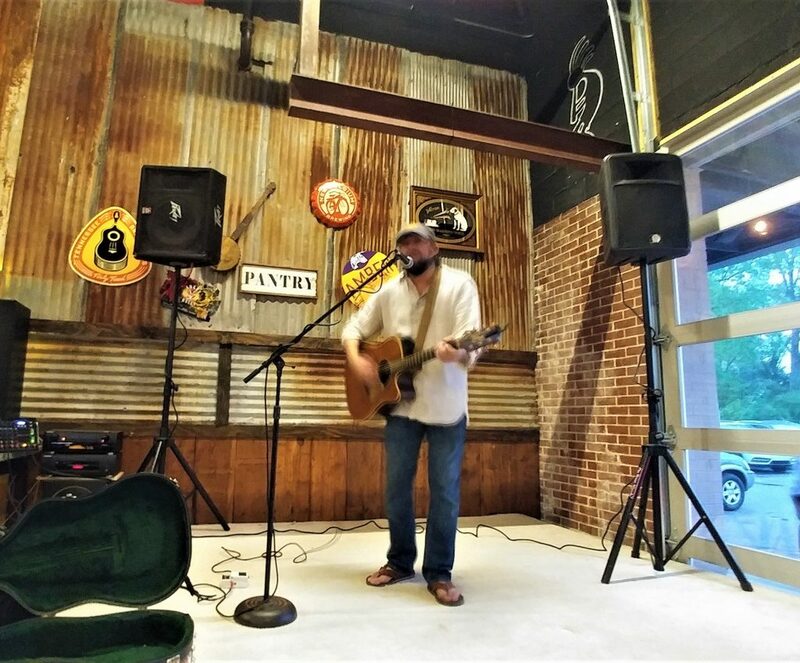 7 p.m.
Gip’s Place: Brian Futch, Southern Mojo. 8 p.m. Grocery Brewpub: Edmonds Butler Band. 6 p.m.
Little Italy’s: Taylor Goodwin. 8 p.m. The Nick: Stoned Cobra, Meta+Medica, JoyBoy. 10 p.m.
Saturn: Colter Wall, Billy Don Burns. 9 p.m.
Tin Roof: Wayne Harper. 10 p.m.
WorkPlay: Martin Sexton, Chris Trapper. 8 p.m.
Daniel Day Gallery: Stuart McNair. 2 p.m.
Little Italy’s: Zach + Cheyloe. 8 p.m. The Nick: King Warbler, Venture Boi, Indoor Creature. 10 p.m.
Is there another show here in Birmingham that we should add to this week’s calendar? Send the details to tom@magiccitybands.com. Remember to include the venue, day, time, and the names of all the other acts playing.